Now that it's November I'm starting to become increasingly excited about Christmas. 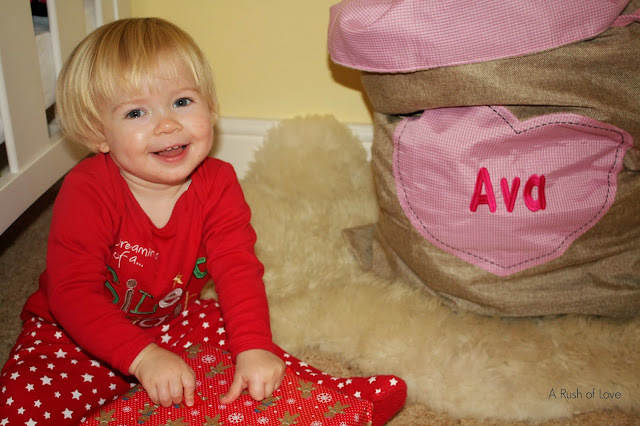 Although last year was Ava's first Christmas she was only 9 months old and had a terrible cold. This year she will be 21 months old and we are praying for it to be a non sickness zone in our house. This year I'll be putting in place some traditions that I hope to carry on throughout her childhood, Christmas films, putting the chocolate cake and cup of tea out for Father Christmas (he's a bit fussy in our house) and leaving out the Christmas sacks ready for them to be filled with treats. We have been lucky enough to have been sent a beautiful Christmas Sack from My 1st Years. 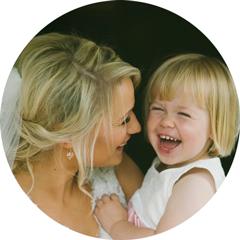 My 1st Years is a website which offers luxury personalised baby gifts at affordable prices. 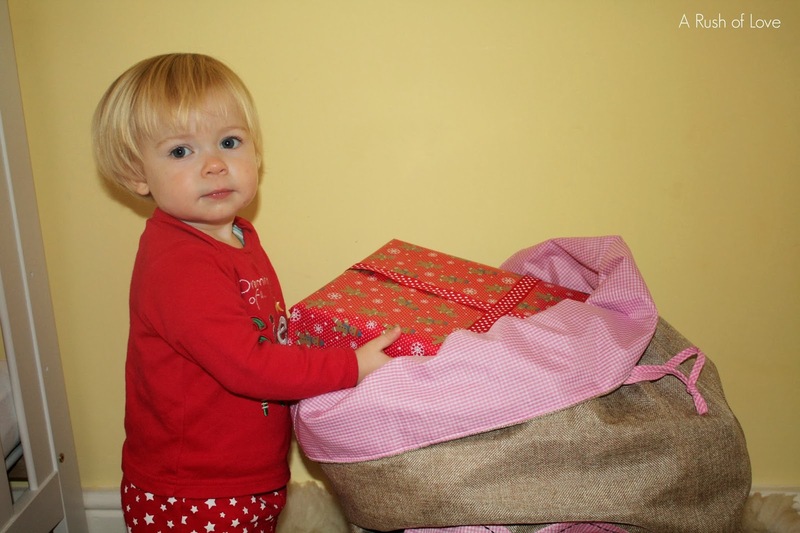 Our Christmas sack arrived in their trademark baby blue box and was wrapped in tissue paper, when I pulled it out I loved it instantly. It's made from good quality hessian material and is lined with pink gingham. They'd even personalised the large gingham heart on the front with Ava's name which adds a special touch (something which is optional). It also has a drawstring so it can be easily hung up. It's extremely strong and I have no doubt that it will last us for many Christmases. This is a gorgeous gift for your own child or to buy as a gift. If you are looking for beautiful, quality gifts take a look at My 1st Years website. Oh wow! I LOVE the idea of the sack!! I cant wait to go order them for my littles! It's crazy how fast the holidays are coming!